Pop Culture Safari! : Is Marvel FINALLY bringing back the Fantastic Four? Is Marvel FINALLY bringing back the Fantastic Four? Looks like they are - plus reviving Marvel Two-in-One, a title I always liked). 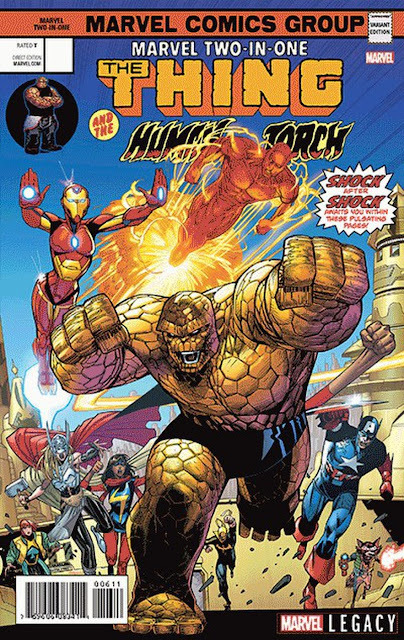 In the story, Ben Grimm and Johnny Storm will reunite to find the rest of the Fantastic Four - because Johnny just can't accept that they're really gone. Standing in the way, however, is Doctor Doom - who holds the secret to the Richards' return.